In case you've never read my blog before, I'll tell you (as I've stated many, many times) that I'm usually cold. So my wish list usually includes a new hoodie. 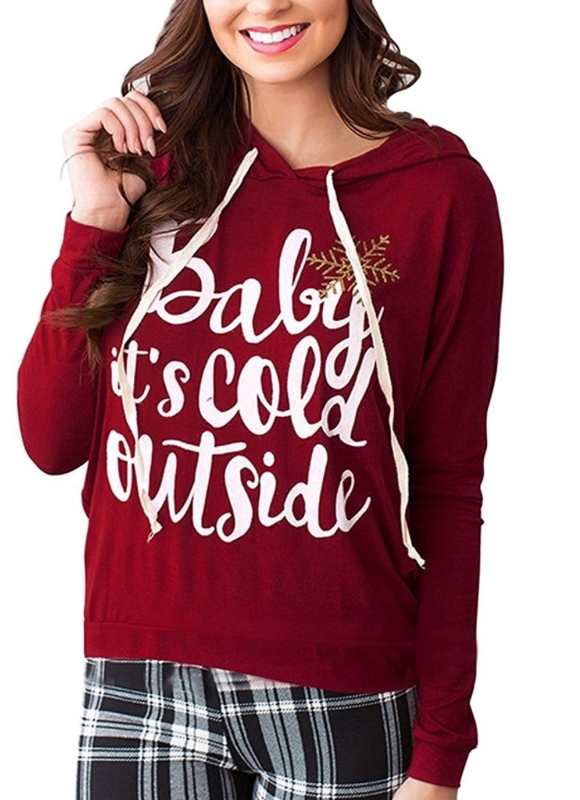 I like this one because the red color is still dark and would match a lot of my stuff (who am I kidding - I wear my hoodies with jeans), and I could wear it to volunteer at school because it doesn't have profanity like the other hoodie I've seen that references being cold. What are some of your stay-warm secrets? I absolutely love and swear by my heated mattress pad. We leave both sides set to hi after we put the kids to bed, then when we finally make it to bed ourselves, the bed is cozy. Lo is actually warm enough for me once I'm sleeping. My stay warm secret is no secret. Head south?